Cheers to the best beers reviewed this year. The Top 25 Beers list is all about balance—the balance of countries, brands, styles, prices and production sizes. Numeric scores and pricing play a role, but industry buzz and product availability are key as well. This year’s number one beer possesses all the essentials: high score, attractive pricing, brand excitement, popular style and superb availability. This list is not the top 25 beers of all time, but it is a look at some of the best-reviewed selections tasted for our Beer Buying Guide over the past 12 months. The majority of beers submitted and reviewed were domestic selections, as the American craft beer movement continues to expand rapidly. This doesn’t mean that there aren’t fabulous beers from around the world, or that these are the absolute best brews currently on the market—but it is an indication of the geographic distribution of beers submitted and reviewed this year. The list does include a couple of high-scoring items that might not be widely distributed or are extremely limited in production. These are beer treasures that are definitely worth the hunt. It was difficult to narrow the list to such a small number, so be sure to check out our online Buying Guide to see what else was reviewed. But for now, turn the page to discover the best beers of 2012. See the full list of the Top 25 Beers of 2012 in PDF form, or view the list in our Buying Guide. 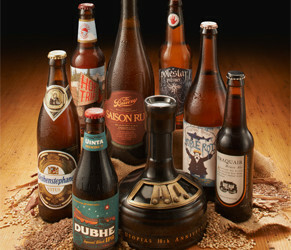 To see the Top 25 Beers of 2011, click here.